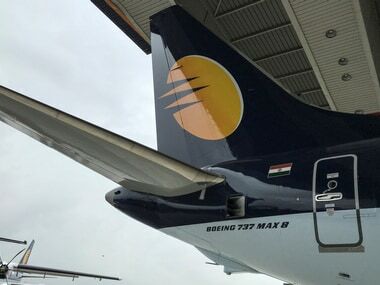 New Delhi: Shares of crisis-hit Jet Airways plunged nearly 7 percent Wednesday after the company grounded six more planes due to non-payment of lease rentals. The stock tumbled 6.59 percent to Rs 213.95 on BSE. On NSE, shares cracked 6.93 percent to Rs 213.35. As many as 47 aircraft of the full-service carrier are on the ground now as the company failed to pay rentals to lessors. The government has called an emergency meeting to discuss the cash-strapped carrier’s woes. The government has asked state-run banks to rescue the airline without pushing it into bankruptcy, two people within the administration told Reuters. 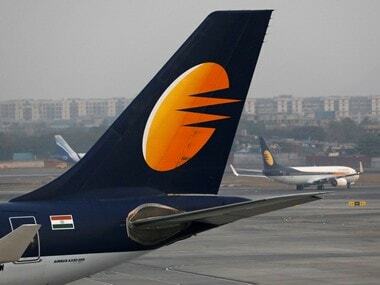 State-run banks have been urged to convert debt into equity and take a stake in Jet in a rare move in India to use taxpayer money to save a struggling private-sector company from bankruptcy. 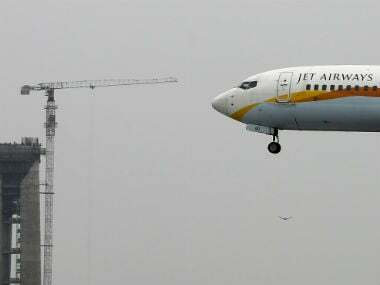 The two people and another source, however, said this would be “transitory” and lenders could sell the stakes once Jet revives itself. Meanwhile, in more trouble for the airline, an umbrella body of its domestic pilots Tuesday threatened to stop flying from 1 April if their dues are not paid by March-end.